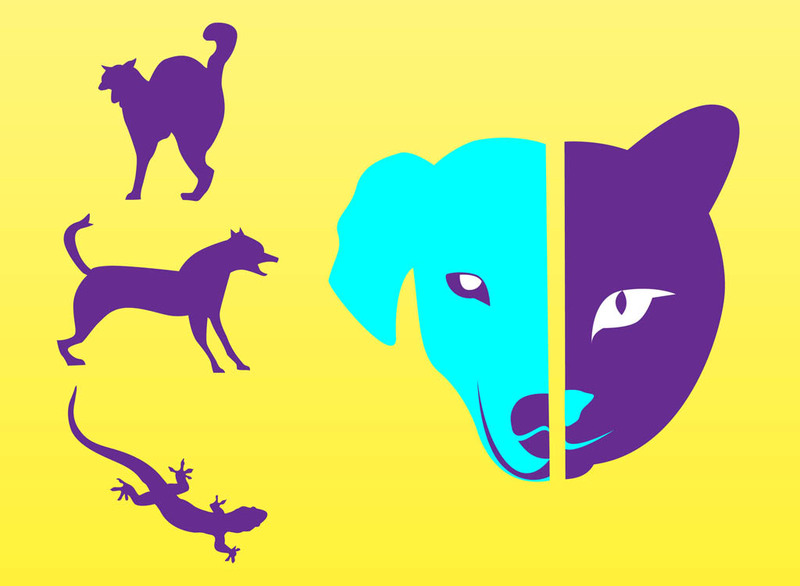 Animal silhouettes vectors pack with dog, lizard and cat plus pet icon that is a mix between a dog and a cat. Useful footage to create pet shop promotions, animal food graphics or websites for a shelter. Download pet silhouette images as Illustrator AI and PDF files. Tags: Cat, Dog, Gecko, Lizard, Pet Shop, Pets, Shelter, Silhouettes.